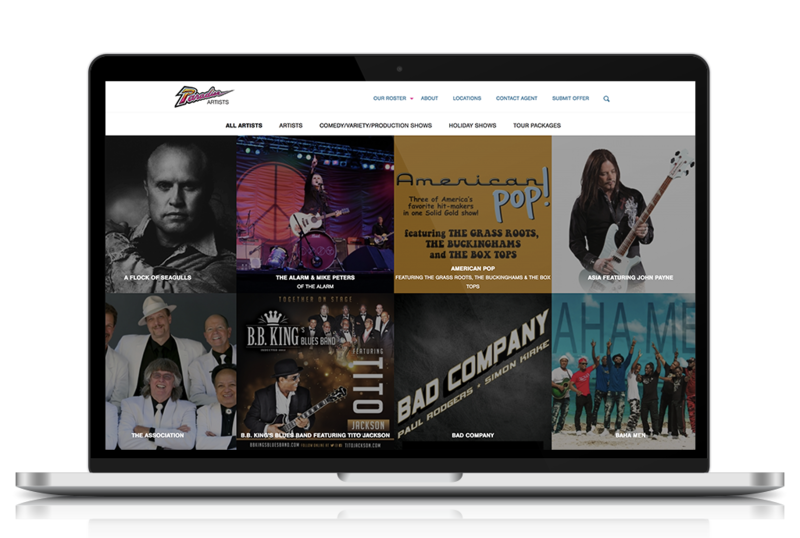 Wilmeth Group was hired by Paradise Artists to rebuild the artist roster section of their WordPress website. In addition, we used their design and the StudioPress Genesis framework to develop their custom theme. This site was created using Adobe Photoshop, Adobe Photoshop, Adobe Dreamweaver, WordPress, Genesis Framework, HTML, CSS, JavaScrip, PHP & MySQL.